Greetings denizens of the 21st century, Gort here, liason of the 27th century. 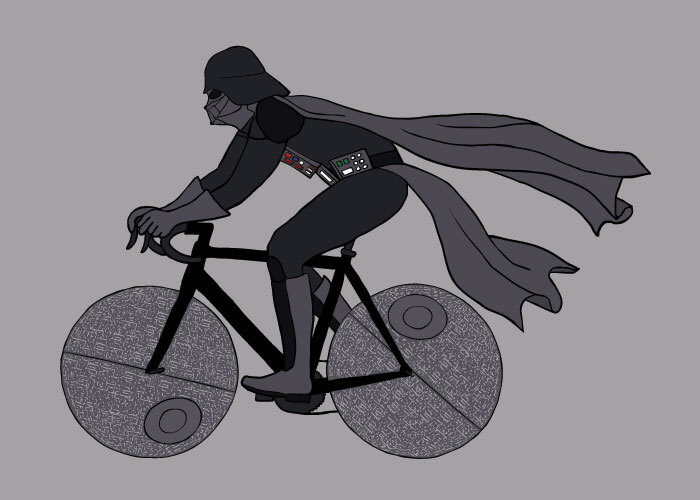 In the future, cars are a distant memory, and every day is a Bike Party. 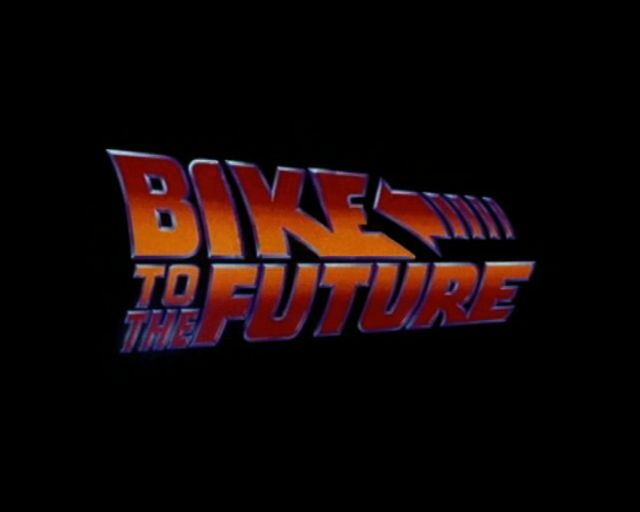 We’ve come BACK in time, to BIKE to the FUTURE with you! So all you McFly guys and gals grab your time travel garb, regardless of what decade or century you come from. Cars were a bogus journey. It’s time for an excellent adventure! A Star Wars-themed ride complete with light sabers and cardboard replicas of a Tie Fighter and Imperial Walker. We cruised around downtown and then through the Westside to West Cliff.